Summer has arrived with the year’s brightest days ahead … but NOT with depression and suicide, which don’t stop, nor go away, during sun filled summer months! Globally 350 Million people suffer from depression and recent figures show 6000 people in UK and 600 people in Ireland die by suicide, in just ONE year. 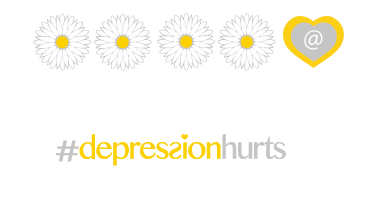 #depressionhurts is very proud to announce #daisiesandhearts — our Summer 2015 awareness and national fundraising campaign, across the UK and Ireland. 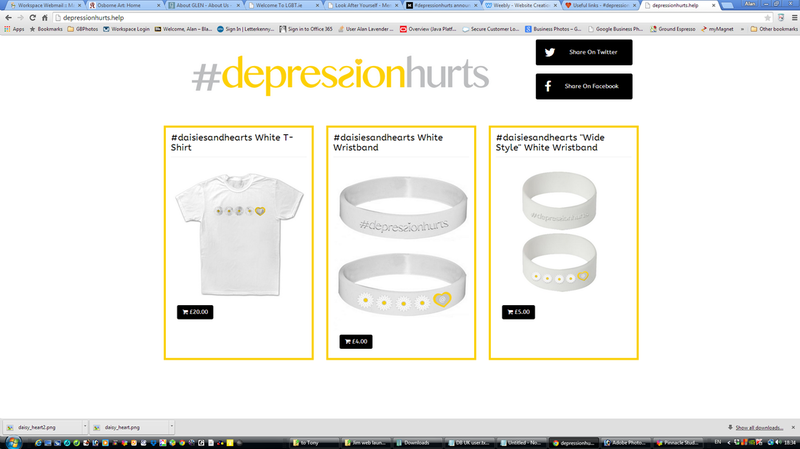 You can buy cool festival stuff for summer and support the campaign - click to visit our new shop.